Here is the Hillsboro DPS driver license office address, phone number and hours of operation. Special Notes: You may schedule your driving test online for this location, or go to the location and wait for an available appointment. Scheduled appointments always take priority over unscheduled appointments. This location does not offer drive tests between the hours of 12PM and 1PM. 1. What are the Hillsboro DPS hours of operation? The hours of operation are listed above, but make sure you call before going as an appointment may be required. 2. What do I need when I go to the DPS? Depends. To renew your license, bring a completed DL renewal form. You must also surrender your old/expired license and present your ORIGINAL social security card. If you’re applying for a NEW license and are between the ages of 14 and 17, you have to take a driver education course first and present your certificate of completion. 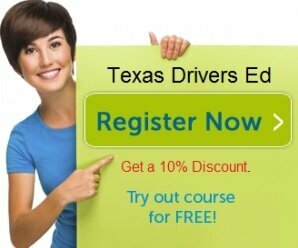 You can get 20% off the enrollment cost for internet drivers education by clicking here. 3. Can I get any application forms I might need at the Hillsboro DPS office or should I bring them with me? Have them with you, completely filled out, before you go — it will save you time. You can access the forms you need here, our website, by clicking here. 4. What methods of payment are accepted at the DPS? The Drivers License office accepts checks, credit cards, cash, and money orders. 5. Does Texas have a “Proof of Residency” policy for people applying for a new drivers license? As of April 2012, anybody applying for an original driver license or commercial license or ID card must bring at least 2 different documents to verify their identity.